The U.S. Army’s aviation force is working on improvements to sustainment and maintenance, but it will respond immediately with all available resources if and when the call to action comes, a panel of Army leaders said at the Association of the U.S. Army’s Hot Topic forum on Army aviation. “If there is a platoon of four Black Hawks, and we can’t get one or two off the ground, we’re going with the remaining two,” said Maj. Gen. Douglas Gabram, commanding general, U.S. Army Aviation and Missile Command. Each morning, Gabram said, he receives a status report on the condition of all Army aircraft worldwide. The current FMC rate for the AH-64 Apache is 71 percent, the UH-60 Black Hawk is 75 percent, and the CH-47 Chinook is 77 percent. While these numbers could be higher, they meet the standards set by the Department of the Army, he said. Aircraft that are not mission capable and require a part for repair rely on supply availability, Gabram said. He noted that right now, supply availability is approximately 85 percent, up from the mid-70s six months ago. Aviation capabilities have to deploy on short notice, conduct combat operations upon arrival, be prepared to move multiple times, and sustain themselves with the smallest possible footprint, said Maj. Gen. Paul Hurley, Jr., the commanding general of U.S. Army Combined Arms Support Command and the Sustainment Center of Excellence. The environment of the future fight will greatly affect logistics support, Hurley said. Brig. 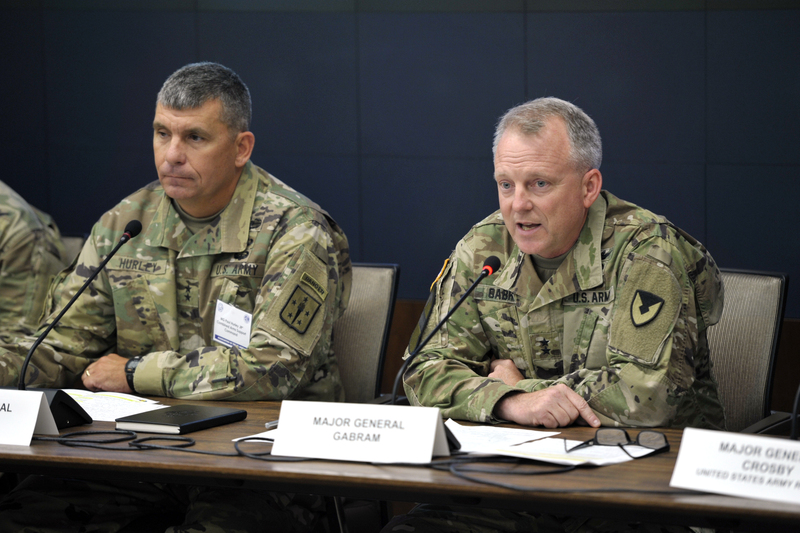 Gen. Dave Francis, commander of the U.S. Army Combat Readiness Center, stressed the importance of sustainment in providing more maneuver options to combatant commanders. “As you try to generate maneuver options for the commander, the most flexible force you have is Army aviation,” Francis said. When multiple cross-domain operations are taking place simultaneously, sustainment becomes a challenge, he said. Across the aviation force, logistics support needs to be tailored for each specific mission and operating environment. “One size fits all doesn’t actually fit all,” Francis said. As the Army looks for future aircraft options, maintenance and trainability are key concerns, Francis said. The best way to defeat a threat is to be highly trained and proficient, said Command Sgt. Maj. Greg Chambers, command sergeant major, U.S. Army Aviation Center of Excellence and Fort Rucker. To improve helicopter maintenance proficiency, the aviation branch is redesigning its professional military education to produce more effective noncommissioned officers, Chambers said.